Detox is not what you think. 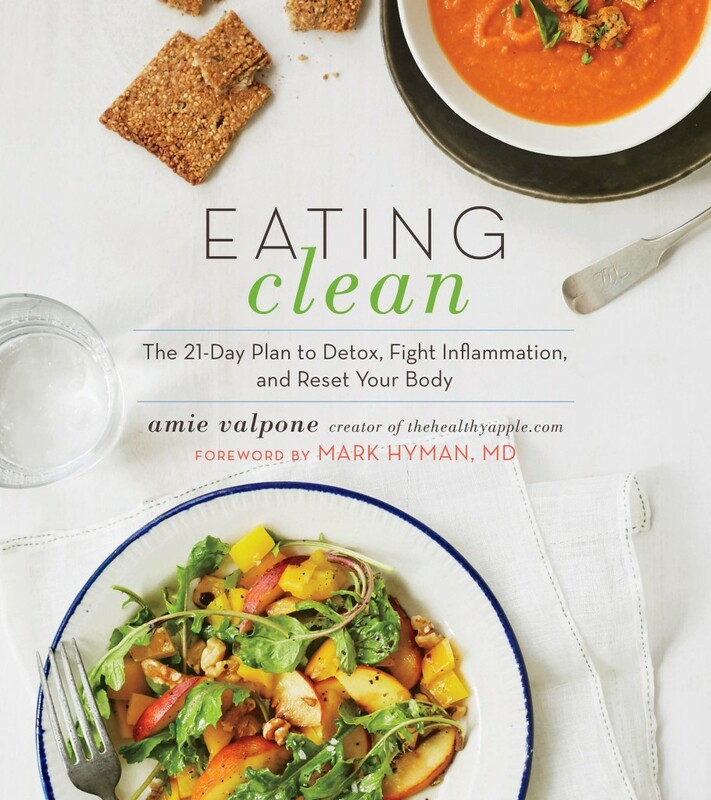 In my book, Eating Clean: The 21-Day Plan to Detox, Fight Inflammation and Reset Your Body, I explain how I detoxed my life from the chemicals we’re bombarded from in our food, environment, water and so much more. Too many of us accept a low quality of life. We’re trained to take an Advil when we have a headache and reach for drugs when there is a health issue- but not of these pills are helping us address our underlying causes of symptoms. When I realized this, after being on morphine with 24 hours to live six years ago, I decided to quit my corporate job, launch my blog TheHealthyApple.com and set out on a mission to heal my body. I had accepted feeling tired, bloated and foggy as ‘normal’ for way too many years before I figured out how to get to the root cause of my health issues without using a Band-Aid approach. To me, detox is about eating clean, whole, one-ingredient foods. What’s in an avocado? An avocado. What’s in an apple? An apple. Catch my drift? I’ve built my life around one-ingredient foods the last 10 years in a tiny Manhattan apartment so if I can do it, you can too—because I assure you- your kitchen is much bigger than mine. Detox is also about cleaning up what you’ve got going on inside of your body (ex: your gut health– since almost 80% of your immune system is in your gut) and replenishing it with organic foods so that you’re not ingesting toxins that can wreak havoc on your gut as well as adding in prebiotic and probiotic-rich foods, which I talk about in my book). I had to re-learn how to eat and live clean. You have so much more control than you realize. I want to inspire you to OWN your health and stop listening to what everyone else is telling you to eat and do for wellness- you know your body the best. Do what works for you and what makes you feel amazing. All of our bodies are completely different- some people feel great eating vegan while others feel amazing eating paleo. It’s not about putting a label on yourself, it’s about eating and living in a way that works for you and makes you happy day after day. That’s honestly how I healed my body and my chronic illness. I’m sharing all my tips and tricks and secrets for how I went from chronic illness to vitality in this book. This book is filled with over 200 recipes free of gluten, dairy, soy, eggs, refined sugar, corn, all-purpose flours and processed foods. It’s also a guidebook on how to detox your home, cleaning supplies, beauty products, personal care products and environment from toxins- which was one of the main missing links to my recovery. I also included 3 full pages of Functional/Integrative Medicine Testing—the tests that finally gave me the answers to my ailments and led me to the root cause of my unwanted symptoms. I wish I had a resource book like this 10 years ago when I was starting my wellness journey and now I want to hand over the keys to you so that you can navigate your life and your health free of ailments, chronic illness and feeling fantastic. 2 tablespoons freshly squeezed lemon juice 1 ¼ tablespoons chickpea miso paste 1 tablespoon raw tahini 2 medjool dates, pitted 1 garlic clove, minced ¼ teaspoon crushed red pepper flakes Water, as needed to thin the drizzle. 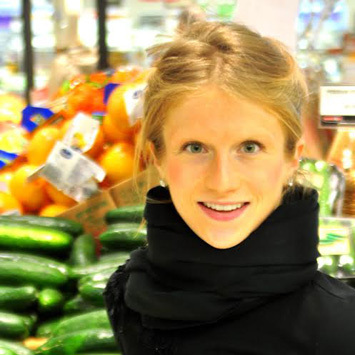 Amie Valpone – HHC, AADP, a Culinary Nutritionist, Professional Recipe Developer, Food Photographer, Personal Chef and Writer specializing in simple Gluten-free, ‘Clean’ recipes for the home cook. She has continuing education certifications from the Institute of Integrative Nutrition and Columbia University as well as the Drugless Practitioners of America. She started The Healthy Apple after suffering with digestive issues for years and healed herself from years of chronic illness and pain that changed her life for the better. After years of being told nothing was wrong with her, through the help of Integrative Medical Doctors, she learned that she was suffering from heavy metal accumulation, hypothyroidism, adrenal fatigue, PCOS (polycystic ovarian syndrome), chronic fatigue, an IGA deficiency and was born without the gene, MTHFR which is key in detoxification. After 10 years of medical mysteries, she was diagnosed with Lyme Disease. I learned that her body couldn’t digest gluten, soy, sugar and many other foods. She began to realize quickly that medicine could only do so much – it wasn’t offering her body what it needed to heal. She needed to overhaul her lifestyle. Questions or anything to add or do you also suffer with a chronic illness? We want your thoughts in the comments section–Please!